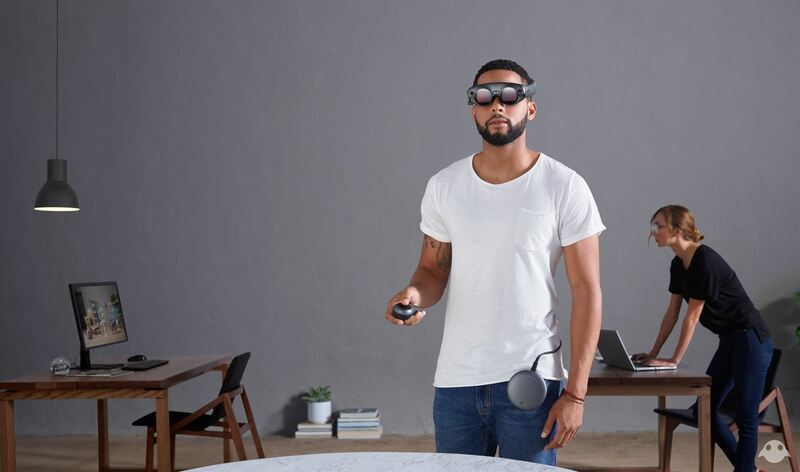 Among the revelations uncovered during the December unveiling of the Magic Leap One: Creator Edition was the fact that the Lightwear augmented reality headset would be tethered to a wearable computer called the Lightpack. 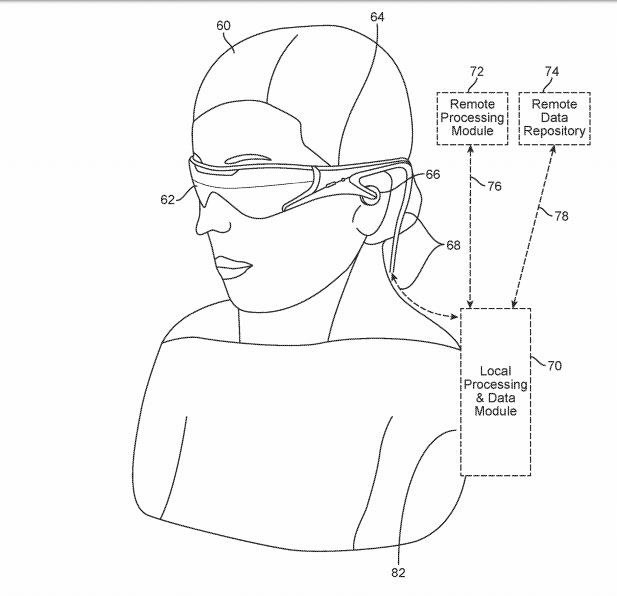 Now, according to a recently-published patent application, it appears that the Lightpack may be doing more than just supplying computing power to the Lightwear. 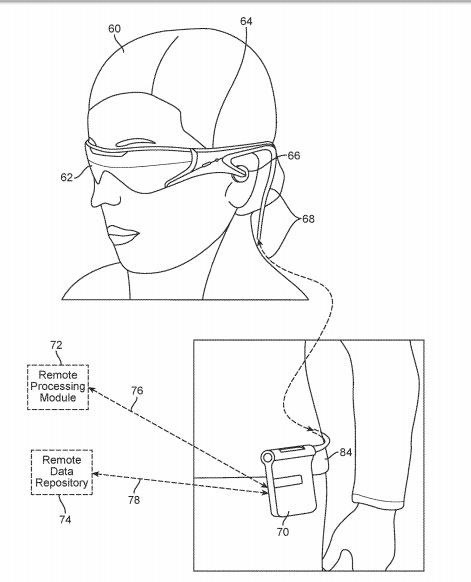 Filed on July 31, 2017, the patent covers a fixed-distance system that configures a light source to project a light beam in augmented and virtual reality systems. The method for determining the fixed distance involves three inertial measurement units (IMUs). The first two units are measured adjacent to the user's head to calculate the head pose. The third unit, measured adjacent to the user's waist (where the Lightpack computer would be mounted), determines the body pose. The three IMUs are used to configure the direction in which the headset's camera should point and sets the tolerance range "within 0.2 diopters to 0.6 diopters of the single predetermined optical plane" where the virtual content would appear with the assistance of computer vision. 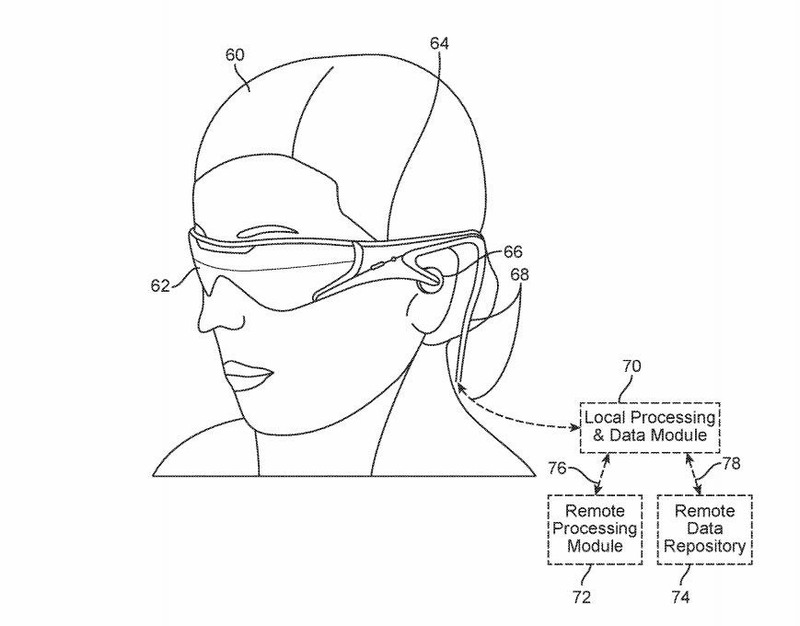 If this patent is key to Magic Leap's AR experience, it poses an interesting question: will the company's headsets always require a tethered computer? Not necessarily. I can imagine the third IMU eventually being transmitted wirelessly from a computer or even a paired smartphone. Moreover, the company will surely continue to iterate and develop a method that renders the hip measurement moot. Whatever the case may be, it's an interesting revelation as we await more details on the flagship device (and other "fun @magicleap news"). 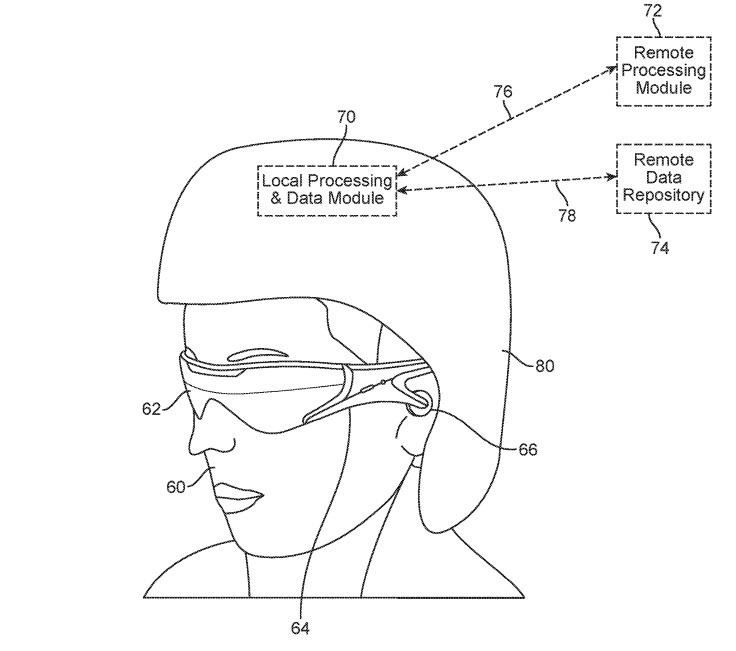 Speaking of interesting, note the design of headset and computer in the patent sketches above. These could be an early imagining of the Magic Leap One, a tease of a future version, or merely an artist's rendering never intended for production. 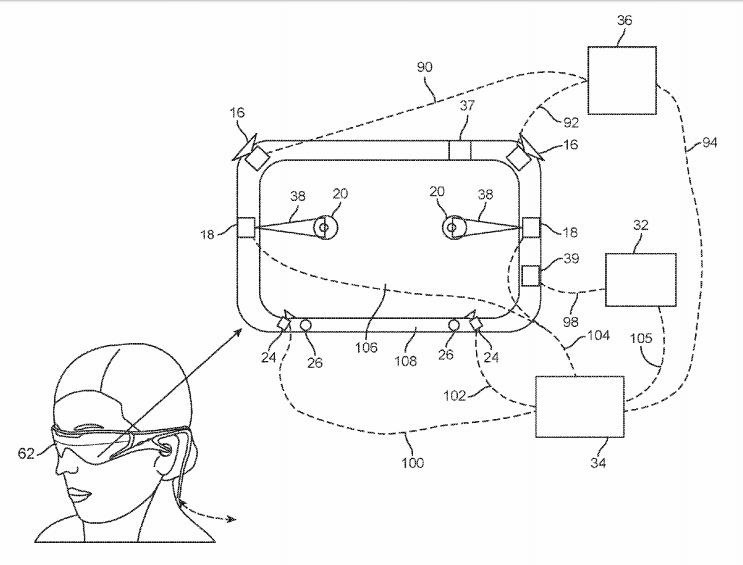 We've reached out to Magic Leap for comment on our speculation, so we'll update you should they respond.